There are exciting things happening in London throughout the year, and April 2019 is no exception. Besides Easter (19th – 22nd April), the Queen’s birthday (21st April), and St. George’s Day (23rd April), there are some excellent new exhibitions, performances and festivals to experience this month. 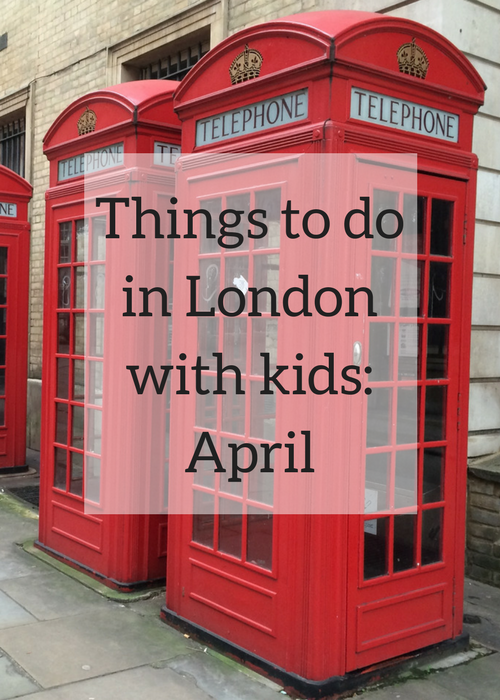 Read on for my selection of some of the best things to do in London this April. The annual London Games Festival showcases the best in video games and interactive entertainment through 40 events at different venues across the capital. Running from 2nd – 14th April 2019, the festival offers hundreds of games to try out and some amazing events, including a Games Character Parade through the city’s streets. Cost: Varies according to event. The popular Underbelly Festival is back at the Southbank. The live entertainment festival is running from 5th April – 30th September 2019, and it offers a fantastic programme of live comedy, circus, cabaret and family entertainment, as well as street food stalls and outdoor bars. Cost: Varies according to show, but most tickets are under £20. The Museum of London’s new Beasts of London tour explores the fascinating role that animals have played in shaping the city. The immersive digital tour is running from 5th April 2019 – 5th January 2020. Cost: Children from £4, adults from £8. Entrance to the museum is free. We love the Warner Bros Studio Tour – I’ve visited three times and would still go there again, as there always seems to be more to see. The latest addition to the tour is the Gringotts Wizarding Bank set, which opens on April 6th, 2019. Visitors can walk through the grand banking hall and the Lestrange vault. 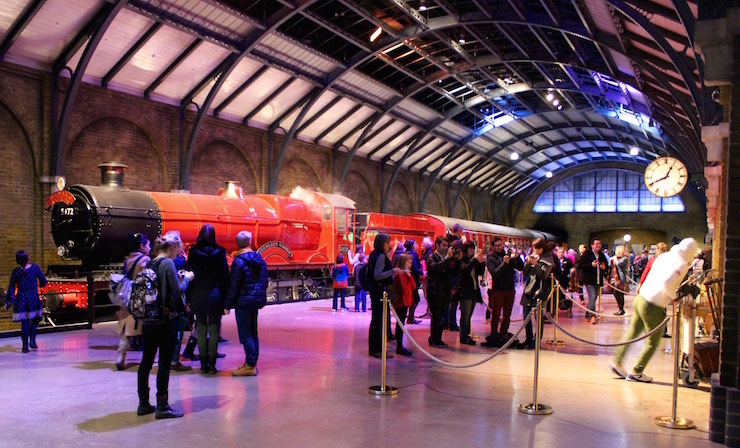 You can read about our most recent visit to the studios in my post Warner Bros Studio Tour: the making of Harry Potter. Cost: Adults from £43, under-16s from £35, under-fives free. 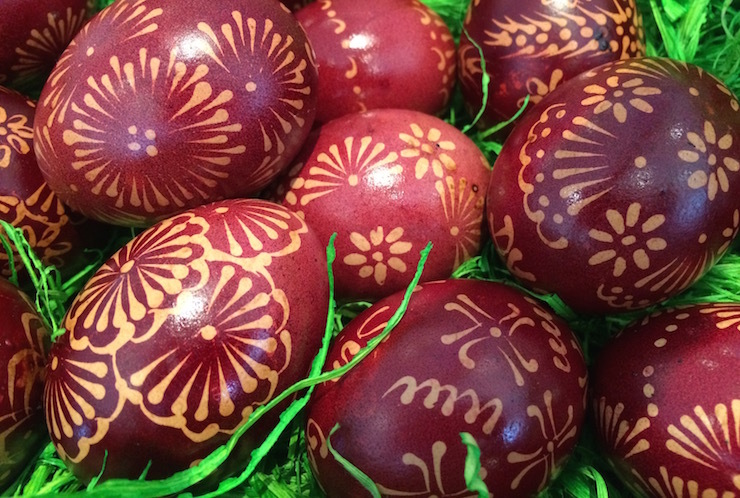 If you’re a chocolate fan this is a great time to visit many of the capital’s attractions. There are chocolate Easter egg hunts on offer at many National Trust properties, including Osterley Park from 6th – 22nd April. Hampton Court Palace is running a Lindt Gold Bunny Hunt, also from 6th – 22nd April. On Good Friday (April 19th this year), a free, full-scale performance of Jesus’ final days takes place in Trafalgar Square. The Passion of Jesus features 100 actors and animals and is open to people of all faiths and none. The Peacock Theatre in Holborn is staging the classic fairy tale Sleeping Beauty, performed by the English National Ballet from 16th – 27nd April. My First Ballet: Sleeping Beauty has a narrator to help the audience follow the story. St. George is the patron Saint of England, and the Feast of St George is celebrated each year in Trafalgar Square with live music, English food stalls, family games, dance and storytelling. This year the event takes place on Saturday April 20th. It’s the Queen’s birthday on 21st April (she’s 93 this year), and the occasion is marked in central London by Royal Gun Salutes and galloping horses towing cannons. 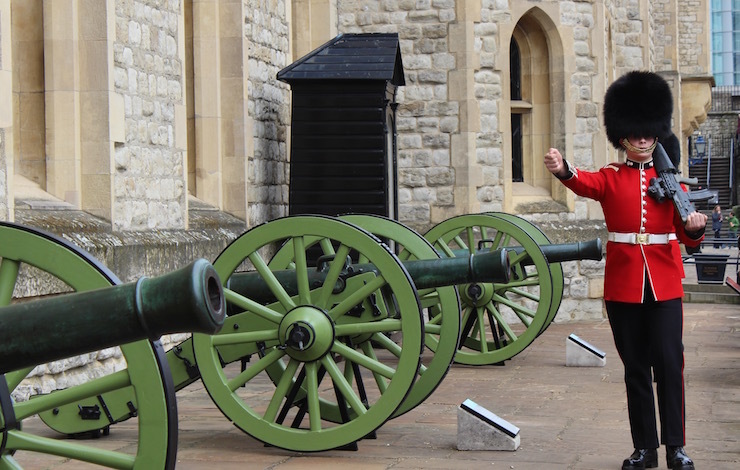 At midday there’s a 41-gun salute in Hyde Park and at 1pm there’s a 62-gun salute at the Tower of London. It’s quite a spectacle, and is a separate event from the Queen’s official birthday, which is in June. The Science Museum‘s latest exhibition looks at our relationship with our closest star, the Sun. Visitors to this interactive experience can enjoy an indoor beach, try on virtual sunglasses and watch the sunrise in places around the world on a huge wall display. Until May 6th, 2019. Science Educators are on hand at the Natural History Museum’s Investigate Centre to help you to explore hundreds of the museum’s nature specimens. Investigate for Families is a free drop-in activity, and it’s open every day until June 30th, 2019. Brick Wonders is at the Horniman Museum and Gardens until 27th October 2019. The exhibition showcases some amazing wonders from around the world, all made entirely from LEGO® bricks. There are more than 50 models on display, and visitors can work on their own designs in the interactive play areas. Cost: Adults from £8.00, children from £4.50, under-threes free. If you’d like a moneysaving sightseeing pass for your trip to the city, The London Pass includes a one-day hop-on hop-off bus tour, as well as free entry to more than 80 attractions, tours and museums, such as the Tower of London, Westminster Abbey and The View from The Shard. The pass also gives you fast-track entry at some of the most popular attractions, so you don’t have to waste time queueing. If you’d like a London guide book, I recommend both the Lonely Planet London Travel Guide and the London Marco Polo Travel Guide. If you need accommodation, check out my post about family-friendly places to stay in the capital. Each month I publish a round-up of great things to do in London, so do pop back to see it, or you can subscribe to my blog (by entering your email address in the box on the right, where it says ‘YOU’D LIKE MY POSTS BY EMAIL?’) and it will be emailed to you automatically. What would you like me to include in next month’s round-up? Do share your London tips and recommendations. Disclosure: This post contains some affiliate links, which means that if you clicked through and made a purchase I may receive a small commission. All opinions and words are my own, as ever. Thanks Sarah – the National Army Museum is fascinating, I’m sure you’ll enjoy visiting it. I love your round-ups – there’s always at least one thing I hadn’t heard about to give ideas for days out with my daughter. Thanks Cathy – that’s great to hear!